So it's just gonna be the R32 race huh? I mean I'm excited but I wonder if they will be able to cram in more before the FC race like Takumi driving the AE85 or the EG6 gumtape match. It really puts in perspective just how much the anime hyped the Ryosuke final boss race when in the manga he was actually just the 4th guy to be beaten. They actually have a lot to make up if they only plan on doing 3 movies. He races Mako & Sayuki AFTER Ryosuke and races Kenta just before the Evo IV in the manga. Also the EG6 race wasn't really an official battle since it was a spur of the moment thing with no build-up so it can "technically" be skipped if they can explain later how he minimized his countersteer somehow. Also, I'm pretty sure there was a very quick clip of an R32 chasing the FC, did that ever scene ever happen in the manga? It honestly made it seem like it really will be a battle between the 3 at the same time. Yeah it was like the anime just the FC following behind while they raced. I hope they don't actually make it a 3-way like in the Chinese movie with the Evo III. edit: Read that wrong, R32 chasing the FC not the other way around?? Yeah its a bit confusing seeing the FC in front but its just a trailer, it could very well be filler confrontation of ryosuke and nakazato before the main race has begun. Wait now that you mention it Nakazato DID briefly chase Ryosuke down Akina after Keisuke lost so that must be it. 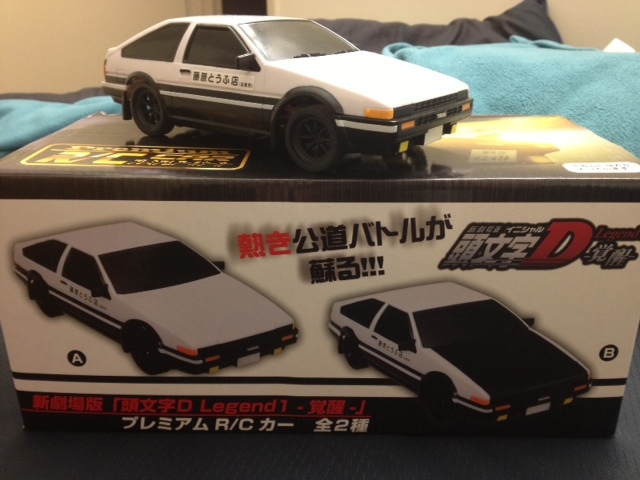 Yo my roommates went to an anime convention last week in Atlanta and bought me this R/C car! Reddit is your best friend. I have some IMPACT BLUE stickers on the way to put in my car. Guess i'll give an old update, fan subs for legend 3 were released a month ago. Well i ended up skipping most of which and getting to the races first, there are tid bits out of line and stuff left out compared to some of the original race if not executed differently. The GT86 at the end kinda throws off the timeline of the series, it being a car released in 2013 where as in 5th stage the newest car at the time was the 2002-2009 350z. 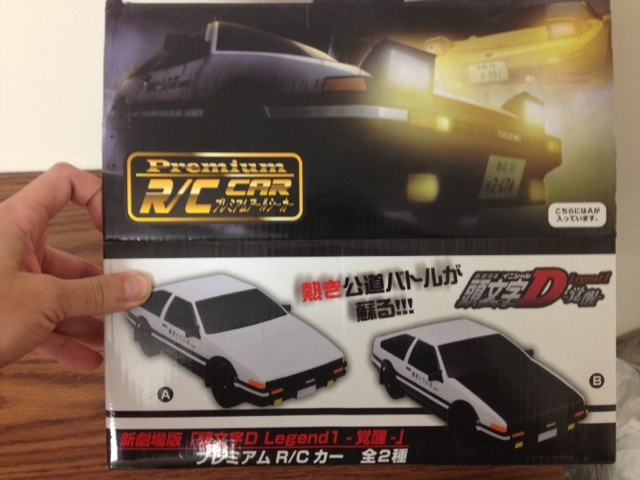 It may be reference to the end of 5th stage but Takumi already had the carbon pieces for his car then so wot now? 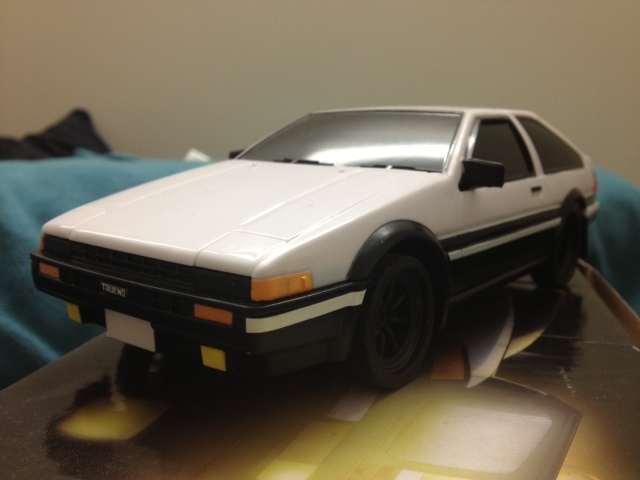 It was also confirmed that the voice actor of the driver of the GT86 is the original voice actor of Takumi in stages 1-5 and also the GT86 shares the same plate as the AE86 in stage 1-5.